Mauricio A España focuses his practice on complex commercial litigation and white-collar and securities litigation matters. He has significant trial experience and regularly counsels clients on internal corporate investigations; criminal, regulatory and state attorneys general investigations; bankruptcy-related litigation; and commercial disputes. 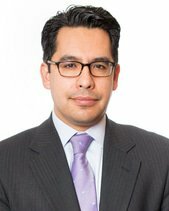 Mr España was recently named a Future Leader by Who's Who Legal: Investigations in 2018. He is also listed as a Top Lawyer Under 40 for 2017 by the Hispanic National Bar Association and among the 2017 “40 Under 40” by Global Investigations Review (GIR), which honoured 40 lawyers, across 11 countries, under 40 who are shaping the future of the investigations practice. He has also been recognised as one of Law360’s Rising Stars of 2015, a national list of attorneys under the age of 40 whose legal accomplishments belie their age. Mr España has also been named a Rising Star by the New York Law Journal in 2015, which is awarded to 50 outstanding attorneys under 40 who have made an impression on their colleagues, their clients, and the larger legal community. He was one of only five lawyers recognised for his work in the securities area.